Picture it: You’re cruising down the Virginia countryside in your brand-new Jeep Compass! You breathe in the new car smell and settle into your comfortable seat. At Safford of Fredericksburg, we can give you this experience! Searching for other vehicles such as the Charger, Pacifica, or Wrangler JK? We’ve got an amazing selection of these vehicles as well! Are you looking for a new vehicle, as well as a good deal? We’ve got you covered! We currently have numerous specials on the latest vehicles! Don’t miss out on the opportunity to own a new vehicle at a fantastic price! Don’t let these savings go to waste! Don’t hesitate to contact us today! Our knowledgeable and friendly associates are here to help answer your questions. We make the car-buying process as easy as possible. We want our customers to drive home in the vehicle of their dreams! If you’re ready to start saving big, check out our large selection of new inventory online! Look around and find the vehicle that’s perfect for you! After you check out our inventory, reach out to us to schedule a test drive! There’s no better feeling than testing out your dream car. At our Fredericksburg dealership, we want our customers to feel satisfied knowing they finally own their dream car and at a great price too! Don’t miss out on the incredible savings! Stop by today and learn more about our plentiful specials! Still searching for the new Cherokee you’ve always wanted? How about the new Grand Cherokee? At Safford of Fredericksburg, we have a gigantic selection! Don’t miss out on our great deals! Get your dream vehicle today! Don’t wait around! Our specials are for a limited time only! They won’t last forever! The specials you see today may be gone tomorrow. 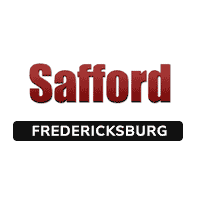 Come see us at Safford of Fredericksburg! We’re here to help! Stop by and visit us today! Our Fredericksburg, VA dealership is located at 5202 Jefferson Davis Hwy, Fredericksburg, VA 22408. Whether you’re traveling from Richmond, Washington, or Baltimore, our location is conveniently located and easy to get to! Don’t miss out on incredible savings. Our staff is experienced in excellent customer service and we want to meet your needs! Stop by and see us today!